The final court proceeding Tuesday morning in a guardianship investigation initiated in Cameron County Court-at-Law No. 4 revealed that a federal judge visited the Southwest Key-Casa Padre immigrant shelter in early September. U.S. District Judge Rolando Olvera toured the nonprofit shelter that holds unaccompanied minor immigrants as well as immigrant children separated from their parents under President Donald Trump’s zero-tolerance prosecution policy on Sept. 7, court-appointed attorney Myles Garza said during the hearing. Garza, who was present for the tour, said Olvera had no restrictions and was able to speak to children being held at the shelter. His tour revealed information previously unknown to Garza, who along with an investigator and several guardians, were appointed by County Judge Sheila Bence to determine whether any of the 1,400 children held in the old Walmart on Padre Island Highway were in need of legal guardians. “We were allowed to be seen, not heard,” Garza said of his role in Olvera’s tour. Garza said Judge Olvera spoke to several minors in a barbershop who when asked whether they were happy, said yes. The federal judge also went into a classroom to speak with children, who echoed the sentiment of happiness expressed by the immigrant children in the barbershop. While Olvera was able to speak with 50 to 60 children, none of them had been separated from their families, Garza said. However, during an Aug. 17 tour of the facility, Casa Padre staff told court-appointed guardian Rochelle Garza that children who were separated from their families were being held in the old Walmart. A federal judge in California ordered the federal government to reunite detained immigrant children separated from their parents with their families by July 26. Rochelle Garza also questioned how being detained by immigration officials and sent to the shelter impacted the children who Olvera asked about whether they were happy. “I think their reaction might have been a little skewed,” Rochelle Garza said, adding that the facility is tantamount to a detention center. 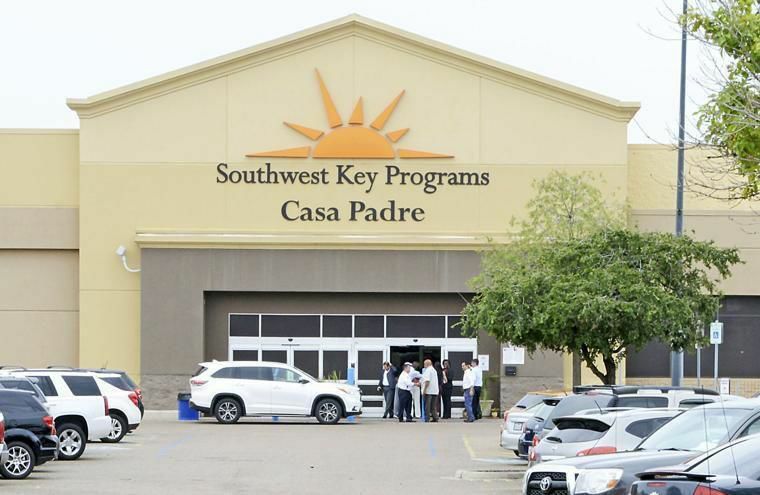 Southwest Key Programs has regularly told media that Casa Padre is a shelter, not a detention center, and that immigrant children held their can leave at any time, which has happened, prompting missing persons investigations as local police work to find the children. Pedro S. Cruz, one of the court-appointed guardians also questioned whether those reactions were skewed, saying that even though a cage is made of gold, it’s still a prison. For much more on the hearing and new information on activity inside the Southwest Key Programs-Casa Padre facility, read or visit The Brownsville Herald online Wednesday.